Low Cat 2-into-1 Exhaust with Black Finish. 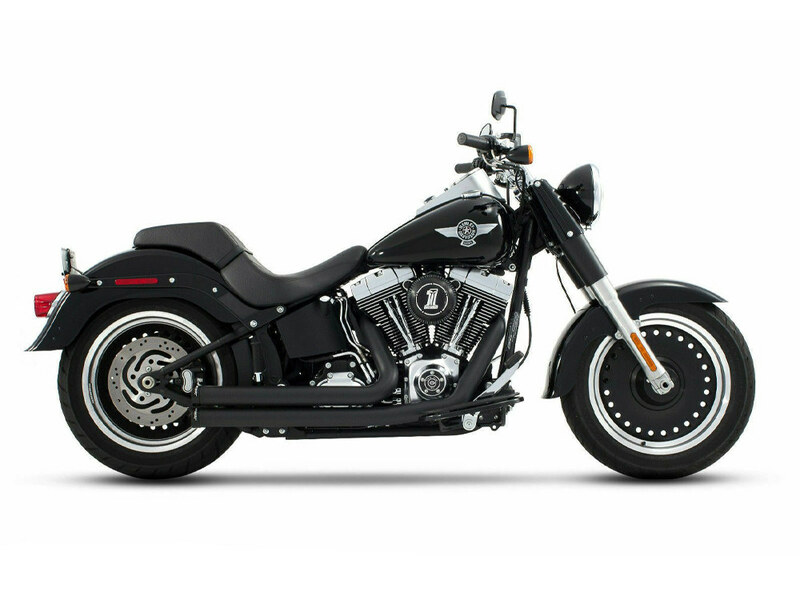 Fits M8 Softail 2018up. 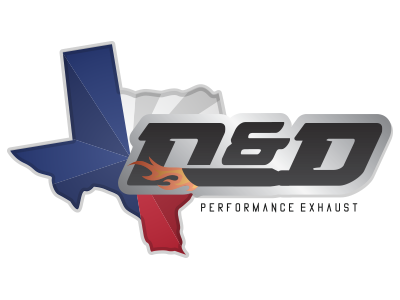 * Includes Heat Shields, Bolt Kit & Brackets. * Does Not Fit Breakout 2018up or Fatboy 2018up. * Fuel Mixture Calibration is Advised. 2-into-1 Exhaust with Chrome Finish & Black End Cap. 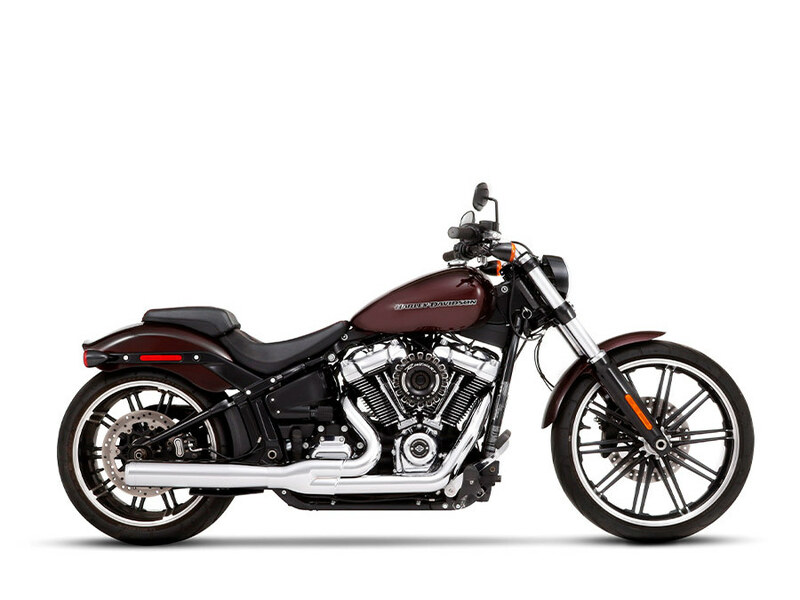 Fits M8 Softail Heritage, Sport Glide, Fat Boy, Breakout 2018up. 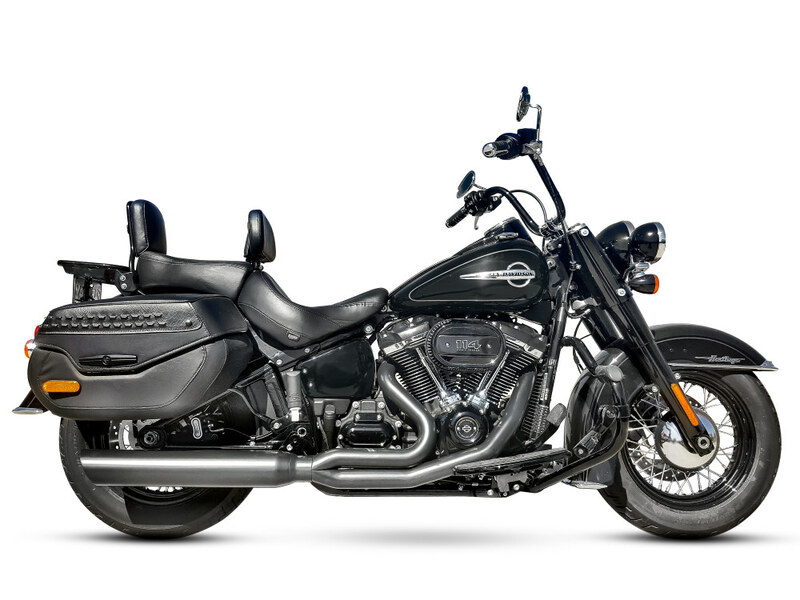 Fat Cat 2-into-1 Exhaust with Straight Muffler & Black Finish. 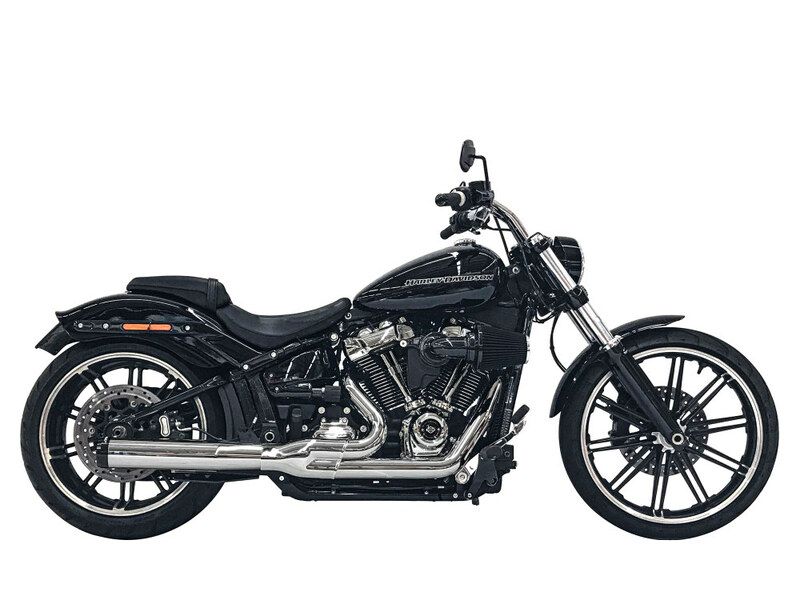 Fits M8 Softail Heritage Classic & Sports Glide 2018up Models. 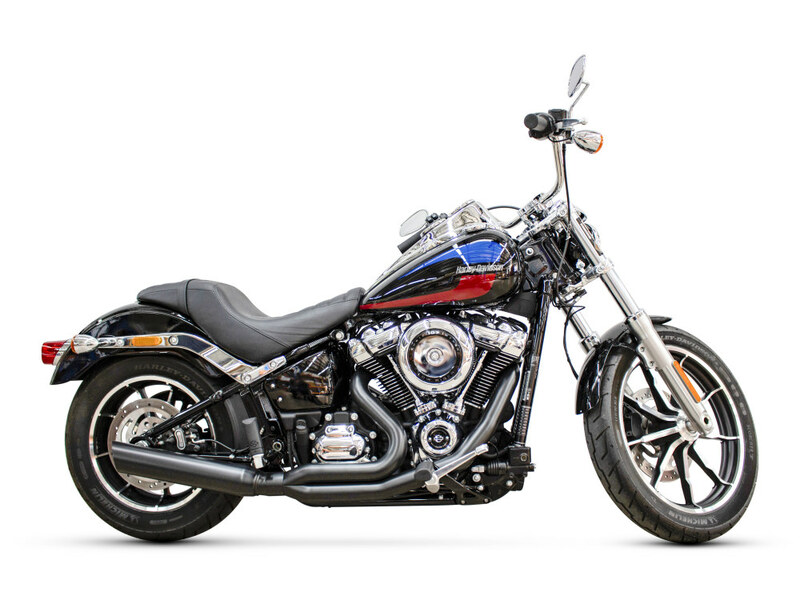 Chrome El Diablo 2-into-1 Exhaust System for 2018up Heritage & Sport Glide Softail Models. Includes Black End Cap. 2-into-2 Exhaust with Black Finish & Black End Caps. Fits Softail 1986-2017. 2-into-1 Exhaust with Chrome Finish & Chrome End Cap. 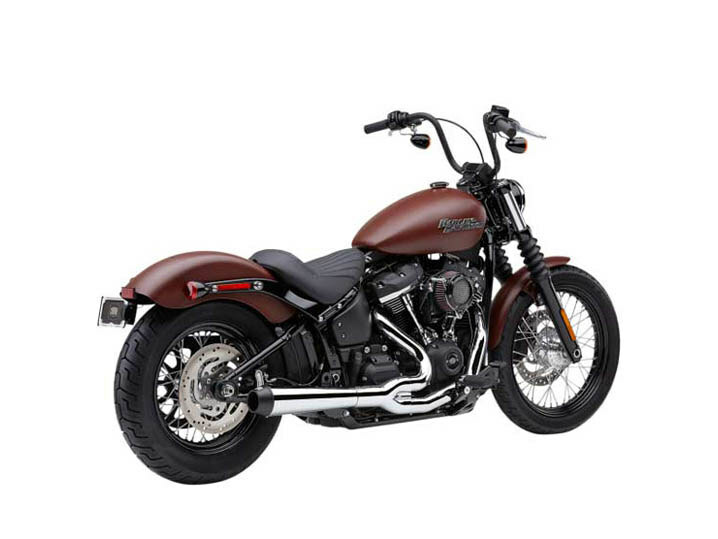 Fits M8 Softail Heritage, Sport Glide, Fat Boy, Breakout 2018up.